One of the problems with constipation and defecation issues is that they can come on at any moment and last for long periods of time. Additionally, these problems are usually indicative of internal health issues and can result in further complications if effective treatment is not received. 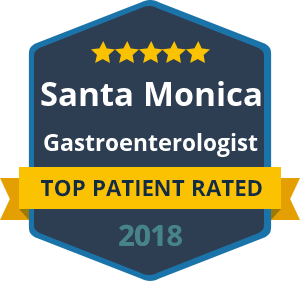 For patients suffering from constipation or defecation-related conditions, Dr. Yamini offers professional consultation in Beverly Hills or Santa Monica. It is important not to ignore GI conditions which affect your ability to pass waste normally, whether that means constipation or abnormal bowel movements such as diarrhea. A gastroenterologist can provide expert diagnosis to get to the root cause of constipation or defecation problems and offer effective treatment. Find relief from your pain, discomfort or embarrassment by reaching out to Dr. Yamini and his team in California today. Dr. David Yamini is dedicated to providing excellence in screening and treatment for a range of gastroenterological conditions. Your gastrointestinal tract can have a serious impact on overall health and well-being. When constipation and defecation problems are left untreated, the underlying cause may worsen and impact internal organs. Serious conditions, such as colon cancer, are often only detected due to symptoms such as abdominal pain and constipation. By the time colon cancer produces these symptoms, the condition has usually already reached the advanced stage, which will have an impact on the effectiveness of any treatment. If you are concerned about the symptoms you are experiencing, Dr. Yamini and his team are here to help through professional consultation, diagnosis and treatment. Contact us today to arrange your consultation, and begin to get to the root of your constipation or defecation problems. You are always assured of a comfortable and relaxed experience when trusting your care to Dr. Yamini and his team.